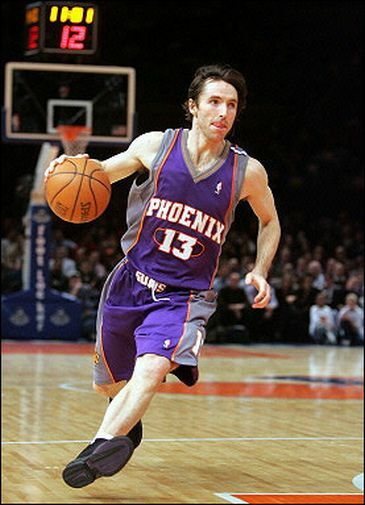 Steve Nash is Jewish because he needs at least one nose job. 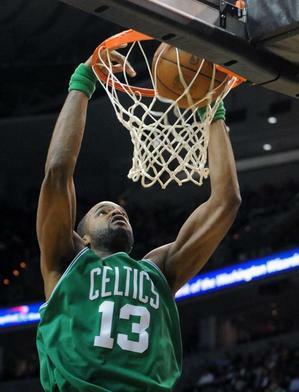 Shelden Williams is too, because his name is Shelden and he's nicknamed "the Landlord." 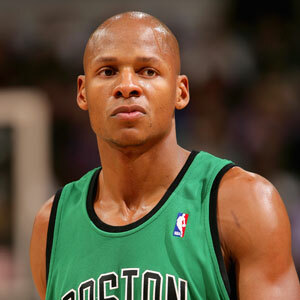 Ray Allen is Goyish because his name was "Jesus" in He Got Game. Shouldn't that make him Jewish? No, because he's athletic. 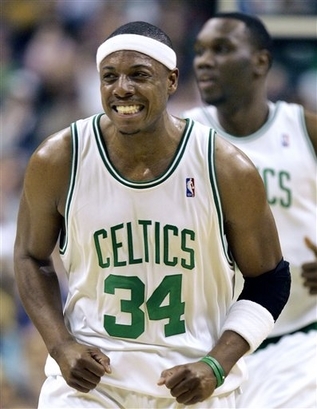 You'd think Paul Pierce is Jewish because he complains about his aching back, but he's actually Goyish because the pain doesn't stop him from doing his work. 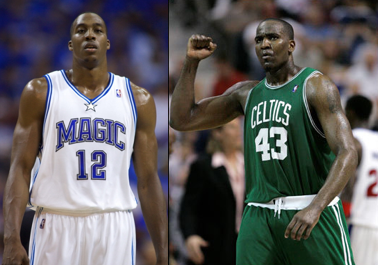 Dwight Howard and Kendrick Perkins are Jewish because they use their elbows like they're working a shmorg table. A'mare Stoudemire is Goyish because, well, he can jump. 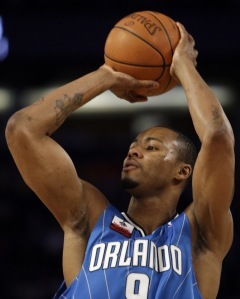 Rashard Lewis Is Jewish because he stole over $100 million from a large corporation that still employs him. 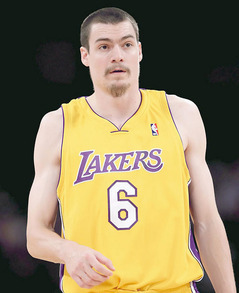 Adam Morrison is Jewish because he can't grow good facial hair. 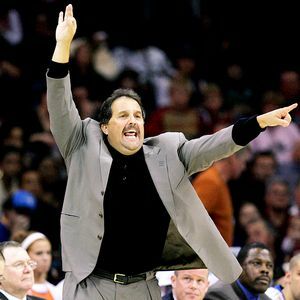 And finally, Stan Van Gundy is Jewish because he had his foreskin removed when he was 8 days old. Yudewitz had something much funnier written about himself, but he forgot it.